Along with a brand new niece I also welcomed a new addition to the kitchen this weekend. A Bosch Mum 8 heavy duty kitchen aid who from now on shall be referred to as the precious. 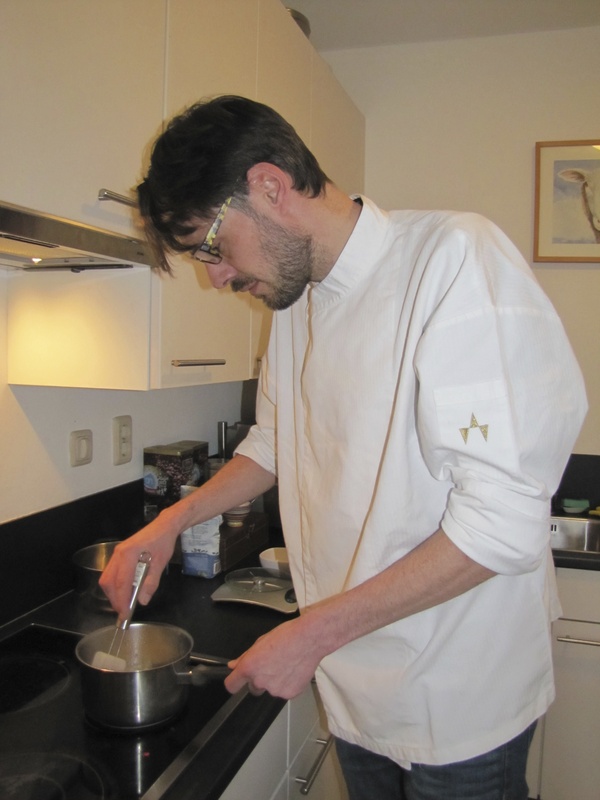 My brother is manager and chef of De Kookerij Culinary College and uses them in his kitchen 🙂 I didn’t know that something you prepare food with could make you so happy! 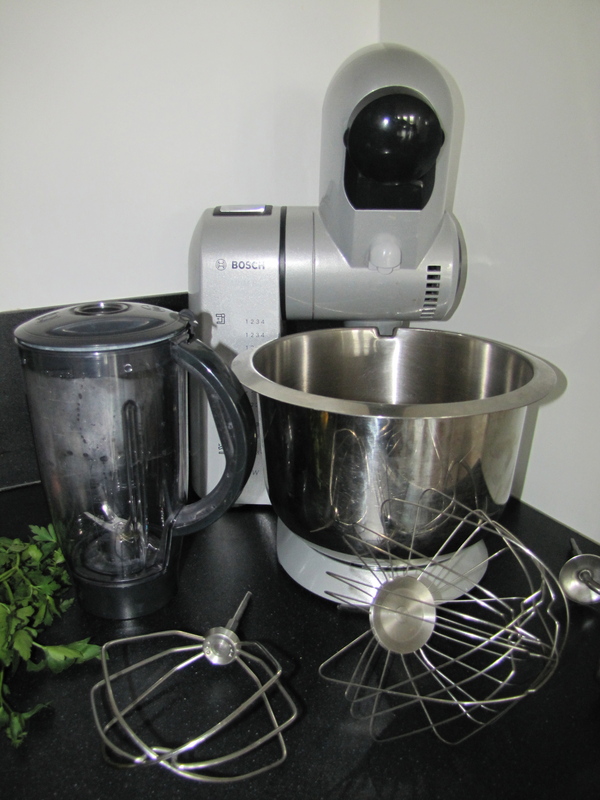 This is going to make my (cooking) life a lot easier, it can mix, whisk, beat, blend and chop! Here is a video of a German gentleman making bread with it?! LOL! As long as we’re on the subject of kitchens, this is mine. Large as you can see but not a lot of counter space so I often use the dining table. We also have two ovens and a dishwasher which is, in my opinion, the best invention ever invented. Show of hands please, who loves to cook but hates the dirty dishes afterwards? The fridge is decent, I say decent for European homes as I think most Americans reading this would consider it small. Anyway, I’m happy with my kitchen and I can get things done with very little hassle.